Spring turns the grass greener, blooms the flowers and brings out the children from the cool of their homes to the warmth of the springy sun outside! Let’s make the most of our joyous times outside during spring. 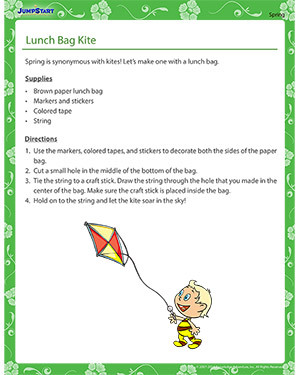 Make a kite with these easy DIY instructions. Check out all our spring crafts for more fun.